Full Moon in the Master Builder Degree! 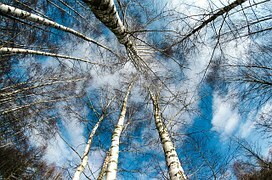 Birch marks the first month of the Lunar Tree Calendar. The trees of this calendar are also an alphabet, Ogham, used by Druids as a secret form of communication. By learning about trees that grow where we live, and spending time alone with trees, we can learn so much about how to maneuver in life. Our ancestors did this. Now we are here, amongst trees who share the earth with us. Trees will answer our most difficult questions. That is why Ogham is also a form of divination, a way to deepen our communication with tree knowledge. 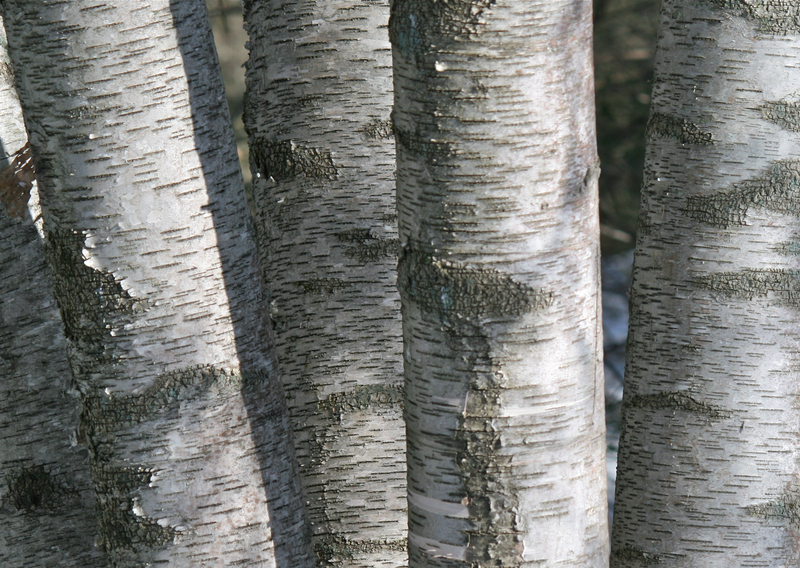 Birch is sometimes called a ‘pioneer’ tree. It was one of the first trees to appear after the Ice Age, and is often the first tree as meadow transitions to forest. So it seems only natural that Birch is the first Moon of the Lunar calendar. She can be used herbally and symbolically for cleansing! Birch is a fresh new start. 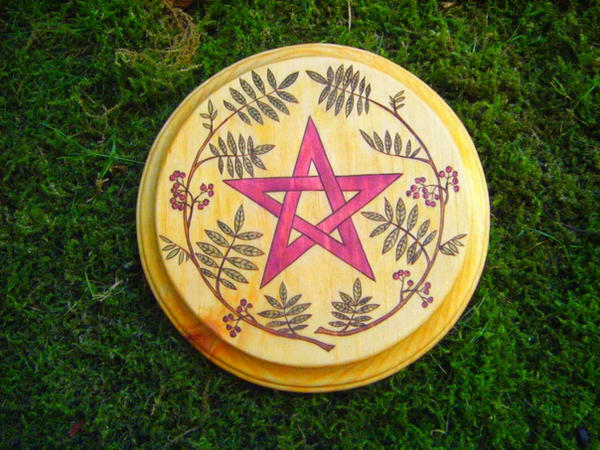 The full Moon on January 12 is Birch at her moment of full manifestation, an opportunity see the world with the fresh eyes of this graceful, maidenly tree. Her bark often seems to have eyes, which look back at us! She is full of the magic power of the Shaman. Birch is one of the first to leaf out in springtime. Below is Queen Puabi’s necklace from Ur decorated with gold birch leaves! to the next little Moon. 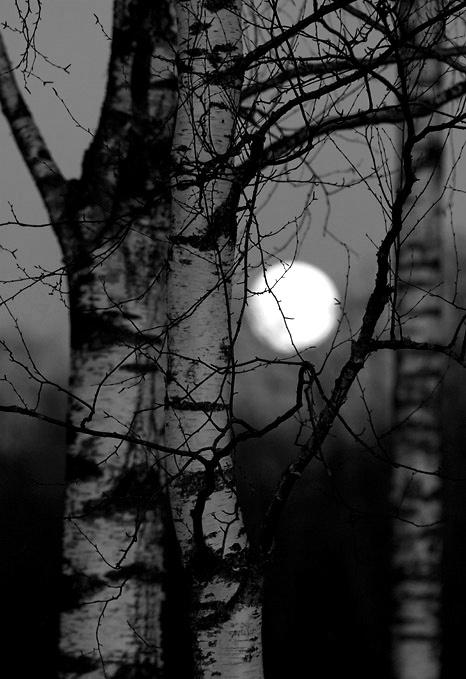 What will this Birch Full Moon in Cancer show us? 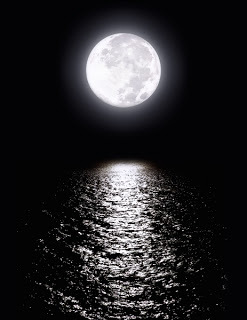 Lots of contradictory gifts are offered, but that is the nature of a full Moon! We can feel that energy surge through us and pull the tides along as well! Can we dance through the contradictions with respect for all sides of the chart? 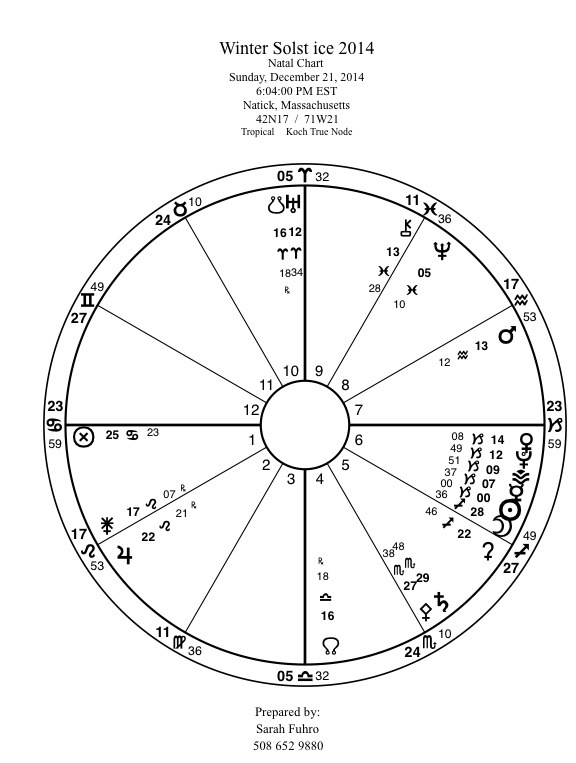 There are six cosmic objects at 22° in the chart for this full Moon in Cancer. In numerology, twenty two is called the Master Builder, and is a number of great potential. There are twenty two letters in the Hebrew Alphabet. 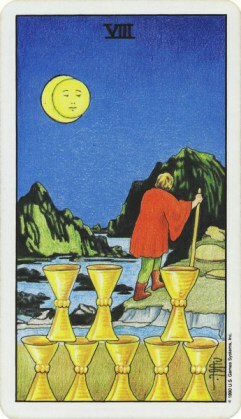 There are twenty two cards in the Major Arcana of the Tarot deck. Why does 22 have such a powerful reputation? How can we embrace the potential for creating the life and community we want, and become ‘Master Builders’? The Sun is at 22° Capricorn, a sign of the builder and organization. Moon is at 22° Cancer. Cancer is the sign of the home and the family. Moon in Cancer opposite Sun in Capricorn might represent the cosmic transformation of a building into a home, a place for people who call themselves ‘family.’ That could mean our whole planet for the astrology chart is universal! Jupiter, also at 22° holds the reins to the opposition between Sun and Moon. Jupiter is the BIG God. He is expansive, a bright planet in the sky, who fills us with optimism and surety, when we let him into our hearts. His bird is the Eagle, and he is pictured here, from a Mesopotamian bas relief as the powerful force behind the Universe. Because he is in the sign of Libra, the Scales, he represents Justice and judgment. At this perfect moment of balance between Sun and Moon he offers the insight and wisdom we need to be fair and to see all sides of an issue. Only a keen sighted eagle can do this! Opposite Jupiter, Eris that feisty goddess of Chaos is also square to Sun and Moon. She is in the sign of her brother Aries. She is in the close company of Uranus, the Revolutionary and Demeter, Earth Mother. 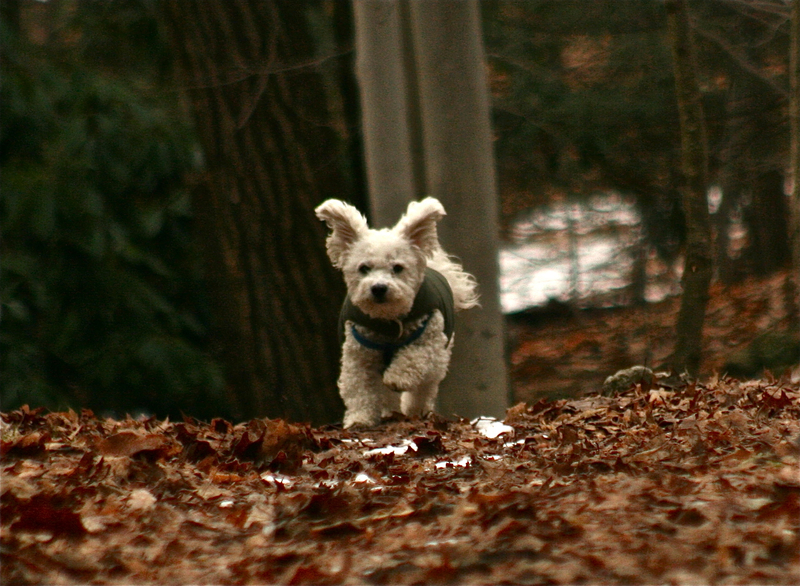 Aries is the sign and energy of the warrior, but also the Life Force. Aries rules our head and eyes. Eris might represent new insight or blind fury. This snakey Celtic Triskelion from the Musee Saint Germaine de Laye illustrates the whirling energy of Eris, Uranus and Ceres in the Full Moon chart. 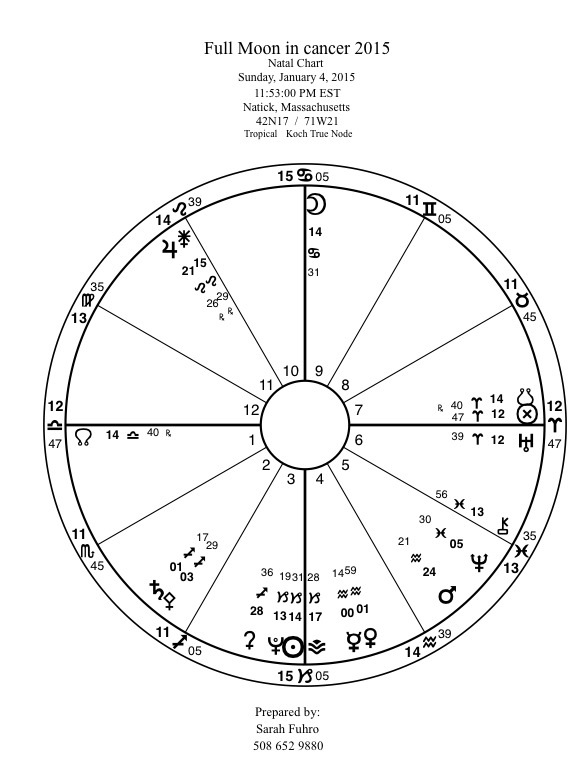 How does the rest of the chart, Sun, Moon and Jupiter react to this deep stirring in the fourth arm of their Grand Cross? 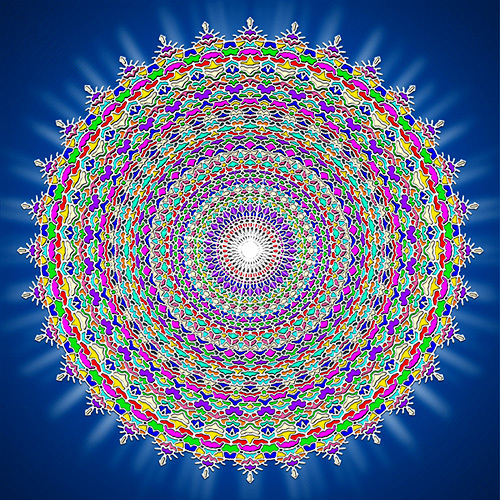 Here is the image to represent our psyche or the astrology chart of this full Moon moment. The Master Builder of the Sun in Capricorn, the deeply emotional creative force of the Moon, the balance of Jupiter and the chaos of Eris, are all part of the moment. 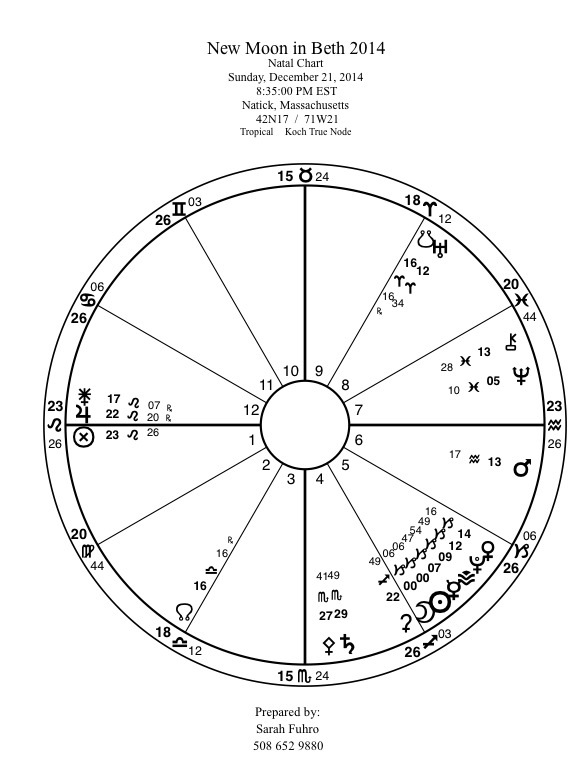 But I think Saturn might be the best planet to explain the how we can use the churning messages of this chart . He is truly the ‘Master Builder,’ and rules the Sun’s sign of Capricorn. Saturn often has the final word on the subject. He is also at 22° in the philosophical sign of Sagittarius! 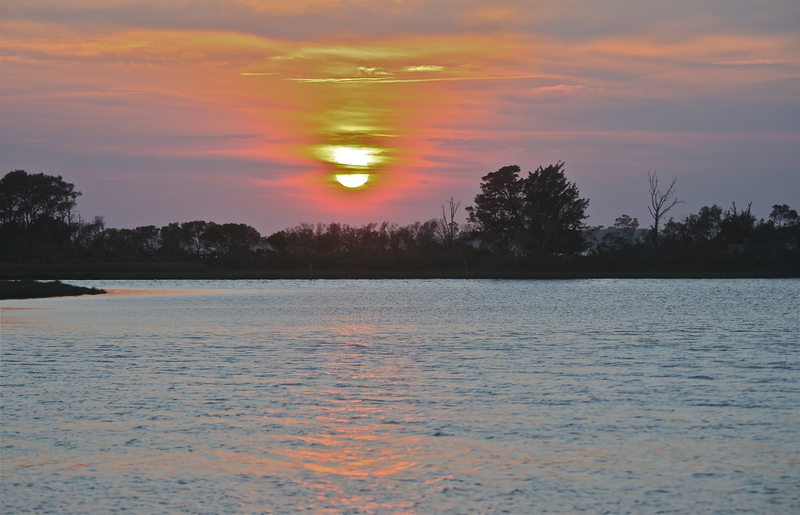 The Sun Stands Still While the Moon Begins Anew! Return of the Sun AND, the First New Moon of the Lunar Cycle! Align a vision for the world and yourself with this momentous opportunity presented by our planet’s luminaries, the Sun and the Moon! The Sun stands still (Solstice) at 6:04 pm, Sunday, December 21st. The Moon conjoins with the Sun to begin a new Lunar journey through the zodiac at 8:35 pm EST the same evening. This is also considered the first new Moon of a new year according to Robert Graves’ Celtic tree Calendar! Let us celebrate this gift of a fresh start, new season, new Moon, new lunar year in whatever way feels brightest (Sun) and deepest (Moon) for each of us! Beith (Birch) is a ‘pioneer’ tree, the first to grow after clearing by fire, by ice, by the farmer. ‘Birching,’ hitting children or miscreants with a switch of birch wood was considered a way of driving out evil spirits so that a new way of looking at the world could begin. In a spiritual mode, we need to clear out the old before we can begin the new. Saturn, disciplinarian of the planetary system has offered us the opportunity to release the old over the last two years while he resides in Scorpio. Like so many friends and clients I have cleaned out my cupboards and closets, and found ways to release old stories and resentments that have blocked joy and growth. Saturn will enter the sign of the Solstice (Capricorn) to join the stellium gathered there. 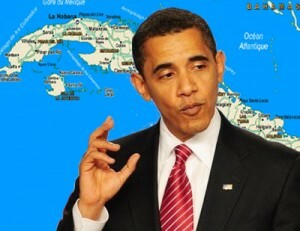 During these last days of Saturn’s Scorpionic expression the United States has taken a new approach to our neighbor, Cuba. Prisoners accused of spying (Scorpio) have been exchanged and now there is the opportunity to build (Capricorn) diplomatic, trade and human relationships. I also hope the focus on police brutality and deadly reaction will shift into new structures of consciousness, and those who are sworn to protect us know they must be responsible for their actions (Capricorn). Another important astrological event will take place on December 21st. Minutes before the Solstice, the planet Uranus will turn direct. His square to Pluto has colored much of the last few years: revolution (Uranus) has exposed (Pluto) the unavoidable consequences of neglect. With both of these powerful transpersonal planets in direct motion we will better understand the Sabian Symbol for the degree of the New Moon and Solstice: ‘An Indian chief claims power from the assembled tribe; the power and responsibility implied in any claim for leadership.’ Maybe this symbol is about our own inner ‘tribal’ relationships….this might be time to understand and accept all parts of our selves and to take kind, but conscious responsibility and leadership for all of our psyche. If possible take time to breath in these few hours and minutes of opportunity to welcome new seeds into the dark earth of winter’s mysteries so that a slender birch tree may sprout and grow…a pioneer in a new space. The Lunar Calendar for 2015 is ready for a new start of the Moon’s cycle: www.thelunarpress.com.